CORE’s Director of Research, Babak Javadi, will be showcasing some of his latest electronic attack techniques against a very common security platform that many of us encounter, even if we rarely make use of it… hotel room safes. 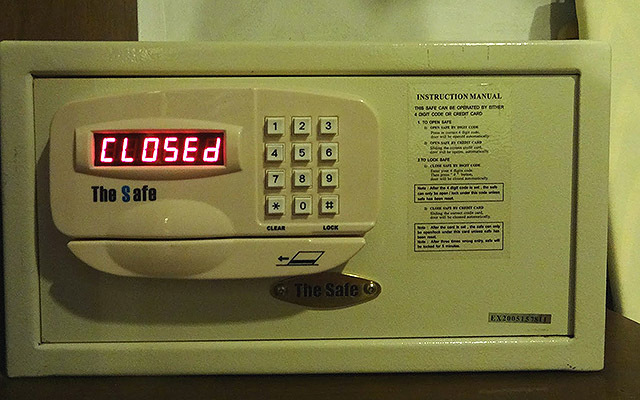 These safe products, often small and often “electronic” in some nature, all tend to be different in manufacturing but related in vulnerabilities. At the Secure360 conference in Minnesota this May, his talk “Pssst…Don’t Look Now, but Your Safe is Open” will showcase electronic spiking, memory dumps, chip exploits and a variety of attack vectors that he has researched over the course of his many travels. Deviant Ollam will also be present, along with Howard Payne, discussing the latest aspects of their ongoing Elevator Hacking research. After both of The CORE Group talks conclude, our customary hands-on physical security learning area will be open to attendees. And “Catch Me if You Can” protagonist Frank Abagnale is giving a keynote! … we hope to see many friends and hacker family in Minneapolis this Spring!